On our second night in the New Forest, we were looking for a place to have dinner that would be a little different from all of the British pub fare we had been eating for two days. Dynasty Indian Cuisine fit the bill and after walking past and seeing other happy customers inside, we decided to give it a chance. 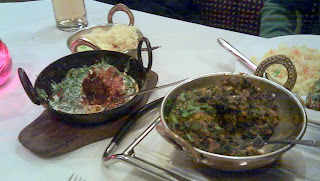 I am so glad we did - we had one of the best Indian dishes I've had in recent memory. The Murgh Noorjihani, described as succulent pieces of chicken and minced lamb cooked with oriental spices and cream served with fresh coriander, was fantastic and really different from standard Indian dishes. Each flavor was distinct and balanced well against the rest of the dish - we polished this one off with no problem. 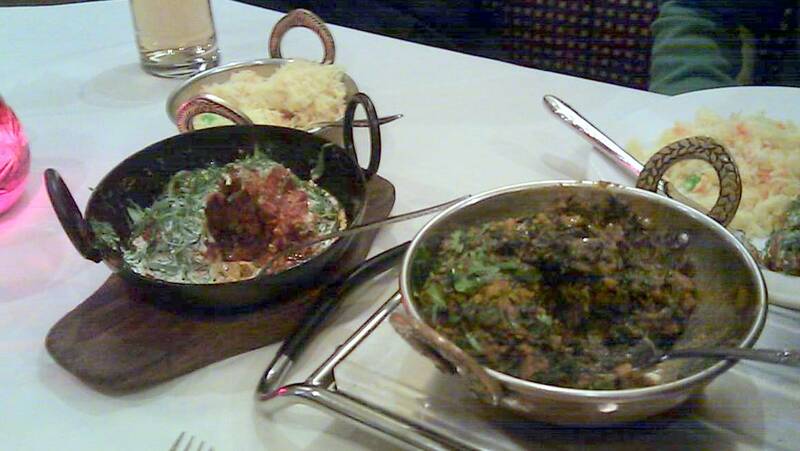 The Sag Ghoost (lamb with spinach) was good as well, but we then made the mistake of ordering Sag Aloo as well, since it's basically the same dish except with potato instead of lamb. Anyway - this was a surprising gem of a restaurant in Brockenhurst, which is not exactly full of dining options, so if you're there, I'd definitely give this a try.